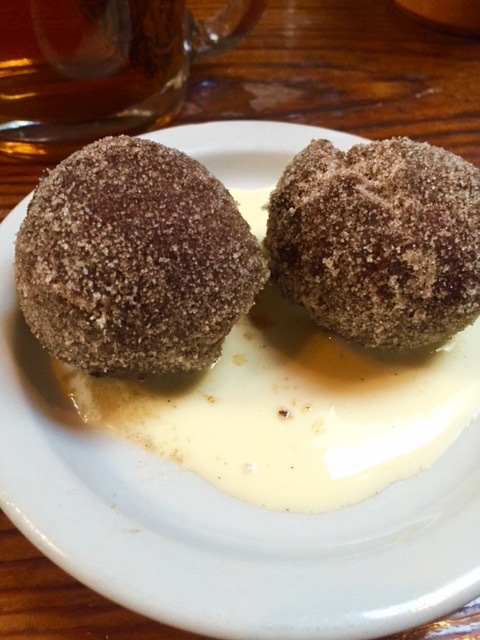 Chocolate Potato donuts. Don’t skip these! 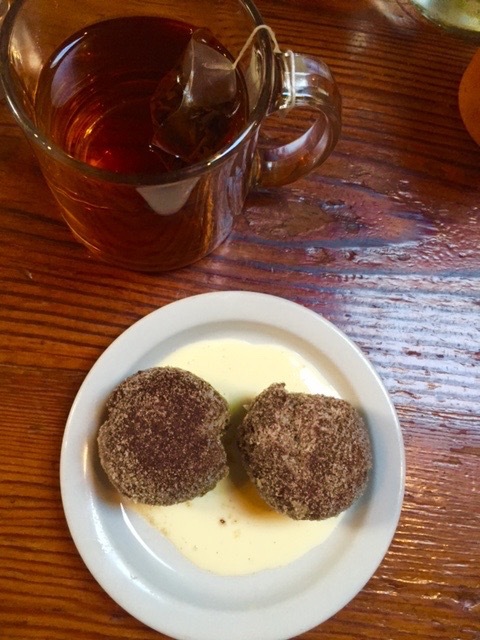 At breakfast you start with dessert first. By that I mean the donuts. We often times get those for dessert during our dinner meal. That is one thing I do love about breakfast. Actually there is very little I dislike about breakfast, as it’s probably one of my favorite meals. Anyways we ended up sharing 2 entrees. For those that don’t know, Tasty n Sons is all about family style and sharing everything. They have small plates and large plates and even a few things in between. We usually try a few things, but these 2 things jumped out at both of us so we just went with 2 entrees. 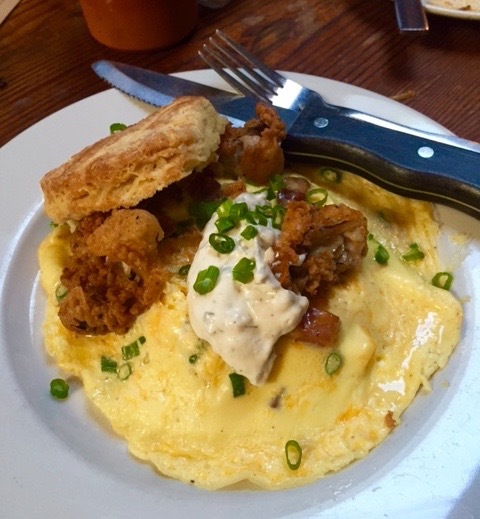 The Hangtown Fry was an open face 0melet on a biscuit with fried oysters. 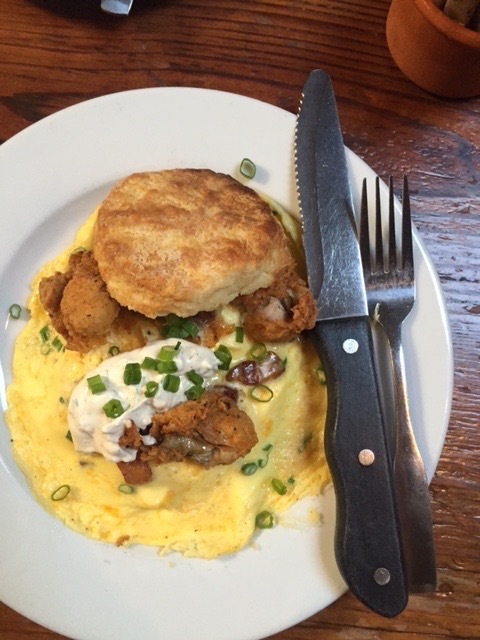 Not only was this dish fantastic, but I also think these are the best biscuits I have had in Portland yet. They were nice and crispy on the outside and perfectly cooked all the way through, not dry at all. 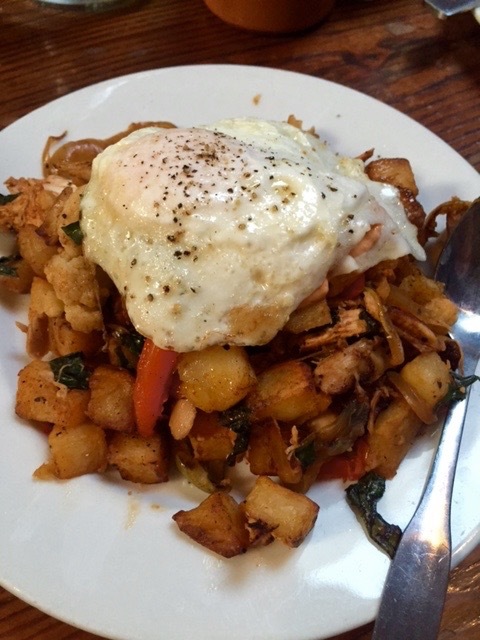 We also chose the Moroccan Chicken Hash. I was a bit nervous about this one, but one thing I’ve learned about Tasty n Sons if it’s something you aren’t sure if you will like it or not, try it here because they do everything perfectly and will win you over every time. Nicely spiced, lots of chicken and perfectly cooked potatoes. Stellar!! Pricing was about $10-$13 for large plates. Service was spectacular. Our gal checked in often, and was helpful in making our decisions. I love when they know the menu and food well. Lots of breakfast cocktail options, plus tea and coffee.